A community information session on the latest proposal to redevelop Fremantle’s Woolstores Shopping Centre will be held tomorrow. The new proposal involves the refurbishment of the existing shopping arcade and a six storey addition, and includes new retail and office space, a basement carpark and a 141 room hotel. It also involves alterations to the existing facades on Cantonment Street and Elder Place and minor alterations to the existing carpark. 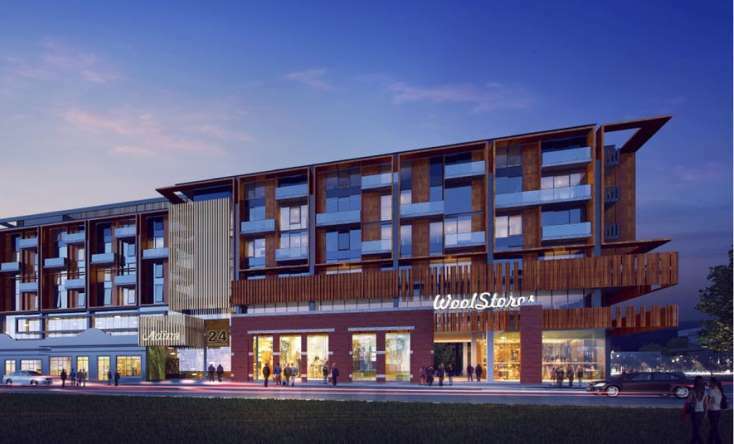 The new proposal is a significant revision of previous plans for the Woolstores, which were refused by the Metro South West Joint Development Assessment Panel in April because they did not meet the ‘exceptional’ design quality required for the site. The current application proposes a reduced building height of 24.5 metres for the six storey section of the development. The community information session on the new plans will be held at 5:30pm tomorrow at the City of Fremantle offices at Fremantle Oval. More information and details of the proposal can be found on the My Say Freo website or can be viewed at the City’s customer service desk. The plans are out for public comment until 21 August. Once the public comment period has concluded, all submissions will be reviewed and a report will be considered by the City’s Planning Committee before being referred to the Joint Development Assessment Panel for a final decision.